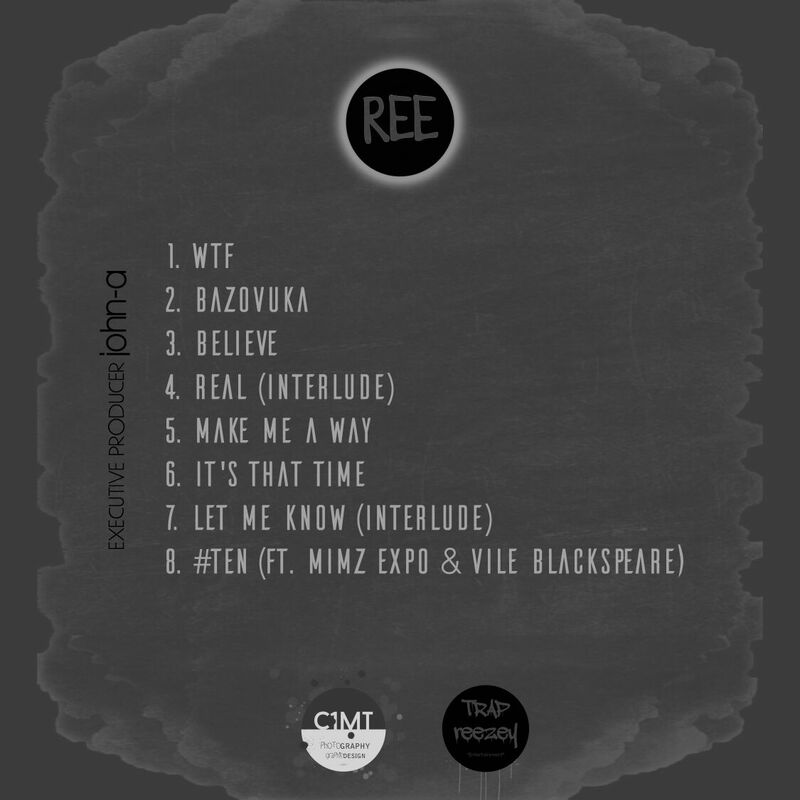 Ree aka Trvp Reezy just put out the cover art and the tracklist to his EP, Straight To The Point. The EP is expected to drop very soon. Just wait on it. All the songs are produced by super-producer, John-A, who is also the executive producer. The project features Mimz Expo and Vile Blackspeare on the previously released single #TEN, which has been doing well since it was put out. Believe also made it to Straight To The Point. When asked what we can expect from the EP, Ree had this to say, “vibes, Trap music and a story to tell, of a kid (whom) no one used to like and give attention but I never let it it get to me, just put in the work and now I’m making a name for myself”. I had the pleasure of getting some exclu clu’s of joints on the EP and I must say it’s some of the best work I’ve heard, it’s lit! Below is the official tracklist of the EP. C1mt designed the cover art so shout out to him also. Ree already told yall he 10/10 and if you still don’t Believe after Straight To The Point then hayi nam andaz! Follow @trap_reezey on Instagram for some snippets and stimulus packages.